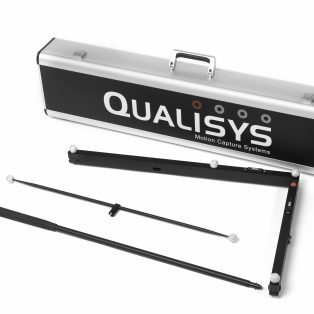 The calibration kit includes a 300 mm carbon fibre wand and an L-frame distributed in a cardboard box. 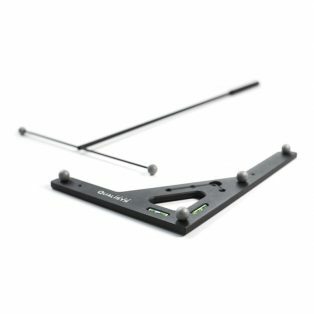 Wand and L-frame for 3D calibration. Replace a damaged calibration kit. This replacement set includes a wand bar (with two markers) and four threaded spherical markers for replacing worn-out markers on the L-shaped reference structure. 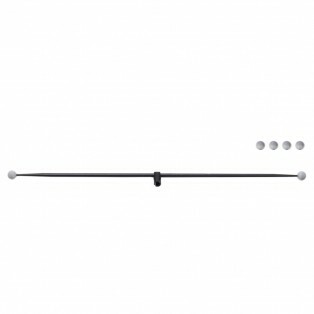 A damaged wand bar should be replaced to ensure proper calibration. If you have the Carbon fibre calibration kit and the wand bar itself is not damaged, you can replace just the markers.